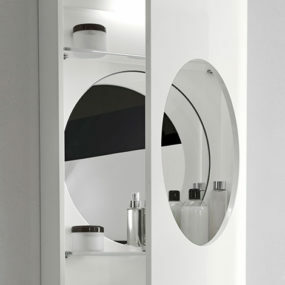 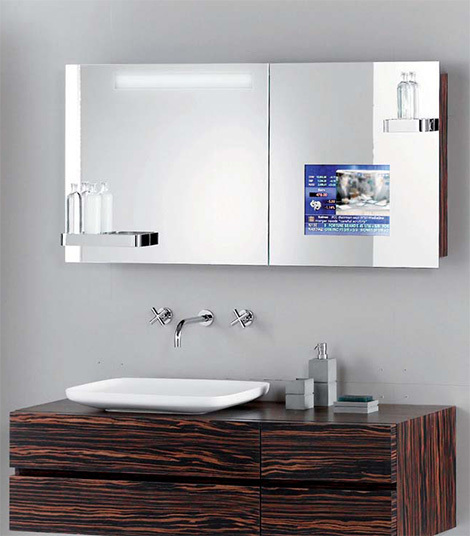 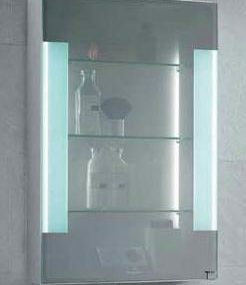 Hoesch SingleBath bathroom suite - Mirror TV Cabinet - man's dream bathroom? 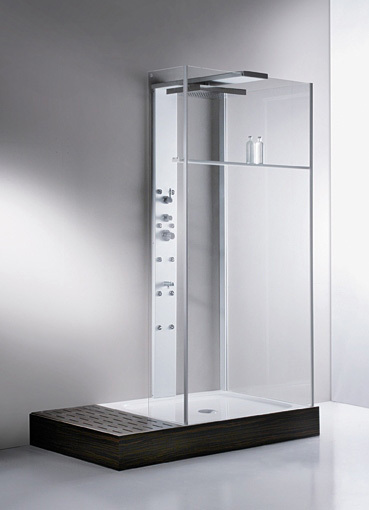 Hoesch SingleBath bathroom suite – Mirror TV Cabinet – man’s dream bathroom? 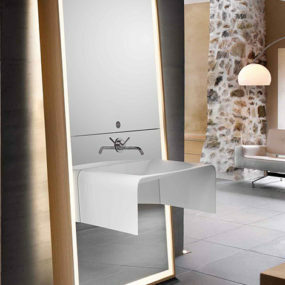 The Hoesch SingleBath bathroom suite manages to combine so many fantastic elements – such as a futuristic Mirror TV Cabinet – that it could very easily qualify as every man’s dream bathroom. 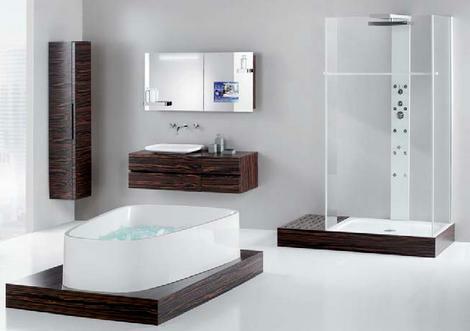 An inspired collection of individually stunning bathroom options, when taken all together the Hoesch SingleBath bathroom suite is a symphony of relaxation. 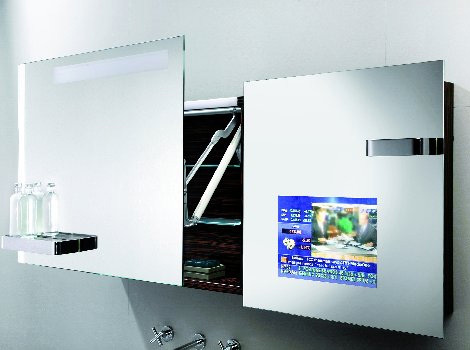 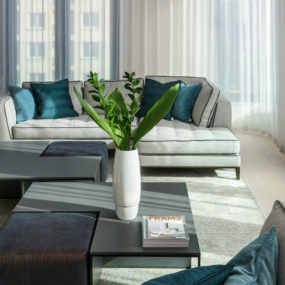 The Mirror TV Cabinet is a technological innovation that seems to have come straight out of ‘Star Trek’ – it will certainly wow your friends, but more importantly, it will make your morning routine volumes better. 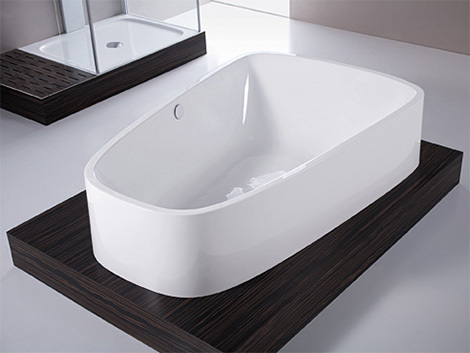 Singlebath suite also stars a luxurious Duo bathtub that is large enough for you… and a partner… to drift away in. 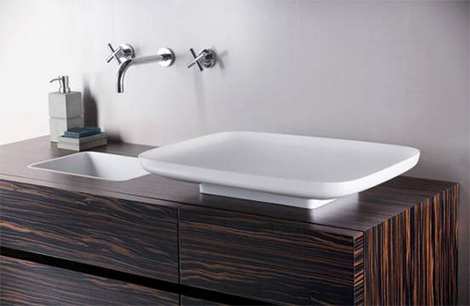 Taking centre stage on the walnut or macassar veneered platform, the bath’s smooth white porcelain surface is echoed by the wide, shallow sink and the tray of the Walk-in shower. 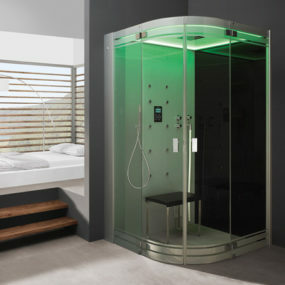 With characteristic attention to detail, the Walk-in shower has a special drying area – a floor grid designed to banish wet, slippery floors to the past. 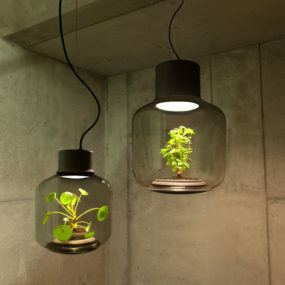 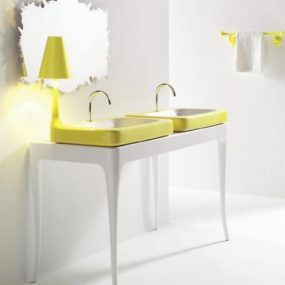 Also, next to the trendy shallow sink is a small, deeper sink for hand washing, or the like, a very thoughtful touch. 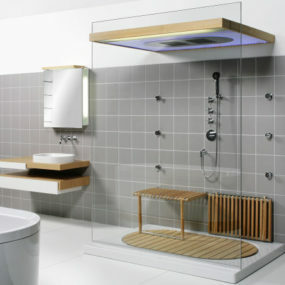 The SingleBath bathroom suite by Hoesch proves that equal focus on form and function is achievable.